Announce something important with this vintage herald image. 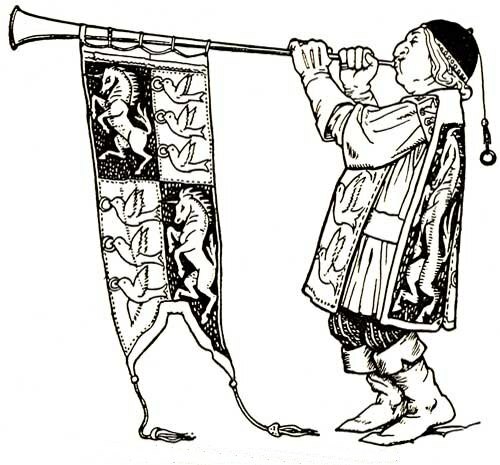 Anyone looking for images for cards who needs to announce a special event can enlist this herald with his trumpet and banner decorated with doves and unicorns to help spread the word. This public domain music image is ready for downloading or printing. It is the work of John D. Batten (1860-1932) and was included in the 1916 children’s book Europa’s Fairy Book.